Incessantly, between 1903 and 1917, a maiden gowned in white traveled the route of the Delaware, Lackawanna and Western Railroad, singing in dimeter. This was Phoebe Snow, the protagonist of one of the most successful advertising campaigns in American history. The quality in Pheobe that made persons’ curiosity run mad had its origin partially in the reassuring rocking rhythm of her words and partially in her body’s permanent insusceptibility to soot or stain. Whatever Phoebe was being at any instant during her transit along the Road of Anthracite, she was being whitely. Even while she was reading her book or sleeping in her sleeper, she was singing everything around her into submission to the white. The scripture of her illuminated poem was a chronicle of conquest by dispelling: dispelling time-bound prose by poetry with its intimations of a permanent meaning awaiting understanding; dispelling soilability and mutability and darkness and death. Phoebe embodies a world in its passive aspect: that which hasn’t even brought itself into being because it always has been. Phoebe doesn’t write; she reads. She doesn’t drive her train; she grants it its power to transport her. If you give me but a leaf, Krishna says, I will accept it. Phoebe too accepts: green leaves and leaves reduced to their carbon, the quick and the dead. From the fossil era onward, the world traversed by Pheobe’s wheels has existed for the sole purpose of rising out of darkness and becoming realized as a source of light and power. That is, Phoebe is the icon of a myth: a depiction whose plural significances are centered on a single attribute. 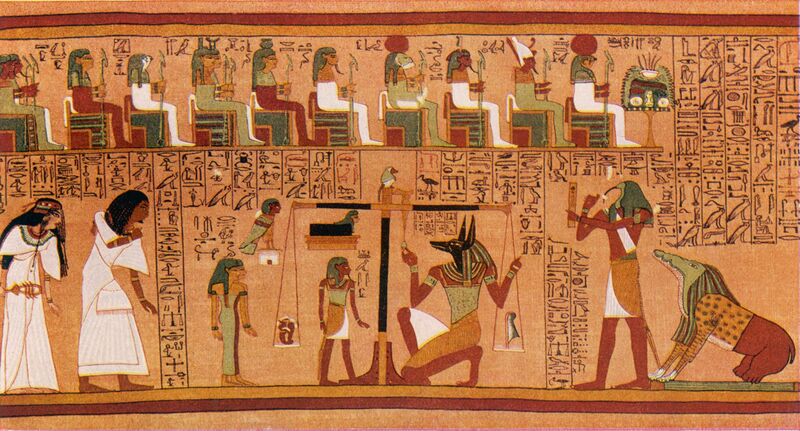 The mythic character is an embodiment of nothing but, like the Egyptian gods in the Book of the Dead with their specialized animal heads signifying division of their labor in the vale of soul-making. The mythic works its magic in popular art too, with its characters who are only what they do in the instant of their having done it. Combining a verb and a noun, a single word for the mythic act is pose. Pose forestalls death by excerpting a moment and asking us to look at it as if it could hold still forever. Pose is the lovers on the Grecian urn, forever panting and forever young. And in advertising art, myth spells out the lovers’ words and gives them a pretext for seeming to mean. How can we not pray too? The white but dirty miner, the clean but black cooks, the mule who knows not whom he serves but only (but it is enough) that he serves: all are limited by their uncompleted, unconsummated selves. Only Phoebe is nothing but. Only Phoebe lives forever fulfilled in the instant of pose. Only Phoebe will never die. Sources: the second and third Phoebe Snow images above are streetcar advertising cards available in many sites online. The first is a postcard at https://commons.wikimedia.org/wiki/File:Phoebe_Snow_Midnight_Limited.jpg. I have photoshopped all three images to help their colors approach the vividness of prayer realized, and I also used some in an earlier post, https://jonathanmorse.blog/2012/05/26/as-things-fade-to-white/.